Our Experienced MicroNeedling Technicians Can Help You Regain Your Natural Beauty! What is Microneedling and how does it work? Microneedling is collagen induction therapy. It is a minimally-invasive non-surgical and nonablative procedure for facial rejuvenation that involves the use of a micro-needling device to create controlled skin injury. As each fine needle punctures the skin, it creates a channel or micro-wound. The controlled injury triggers the body to fill these micro-wounds by producing new collagen and elastin in the papillary dermis. In addition, new capillaries are formed. This neovascularisation and neocollagenesis following treatment leads to reduction of scars and skin rejuvenation, i.e., improved skin texture, firmness and hydration. Professional MicroNeedling is considered to be one of the safest skin treatment procedures. Unlike chemical peels, dermabrasion and laser treatments, Microneedling causes minimal damage to the skin. MicroNeedling to Lessen Stretch Marks! 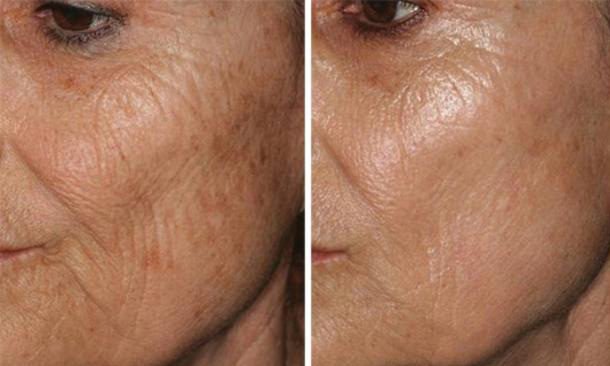 MicroNeedling to Improve Wrinkles, Skin Tightening and Tone! Get Started with MicroNeedling Today! Reducing scars (including hypertrophic scars) caused by acne, surgery or thermal burns. The procedure is well tolerated. It takes up to an hour to complete, depending on the area to be treated and the severity of the problem. Depending on the condition treated it may take approx 60 minutes to complete the procedure. A minimum of four to six weeks is recommended between treatments as it takes that long for new natural collagen to form. In the case of acne scars, after the skin needling procedure, the face should be cleaned with a gentle cleanser before bed. The next day, the face may be cleansed with gentle cleanser and serum should be immediately put on before barrier cream. Highly concentrated Serums and a barrier ointment may be prescribed as needed. Please discontinue any prescribed exfoliants, retinols, or skin care products with any type of acid as an ingredient at least 2 weeks prior to your microneedling appointment. Keep skin well moisturized leading up to procedure. If you get botox or fillers please note that we have to wait at least 2-3 weeks after you have received those procedures to do microneedling. If you are pregnant you must consult with your doctor about receiving the microneedling procedure. The number of needling procedures depends on the individual skin condition. Three to six treatments may be needed for moderate acne scars. Scars from Thermal burns and stretch marks (striae) may require up to 6 procedures. In the case of wrinkles associated with ageing skin, one or two refresher skin needling treatments are recommended every year. Skin infection with bacteria (very rare) or herpes simplex virus (cold sores) if prone to cold sores. Milia, which can be easily removed. (very rare). Acne flare, which is usually mild and rare, and it is normally toxins leaving the skin.